Item # 158082 Stash Points: 9,495 (?) This is the number of points you get in The Zumiez Stash for purchasing this item. Stash points are redeemable for exclusive rewards only available to Zumiez Stash members. To redeem your points check out the rewards catalog on thestash.zumiez.com. Grab a pair of one of the most iconic skate shoes on the market with a pair of Vans Sk8-Hi Checkerboard Patch Black & White Skate Shoes. 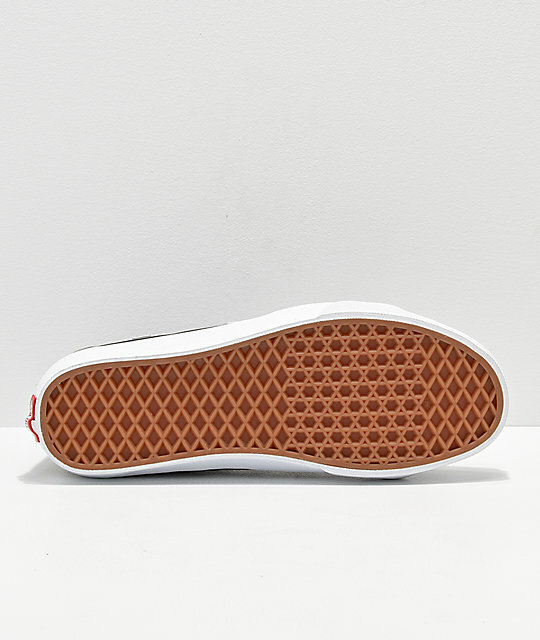 With much of the look of it's original counterparts, this fresh take features a vulcanized insole for comfort and skate performance while the sidewall is highlighted by a large Vans patch logo. 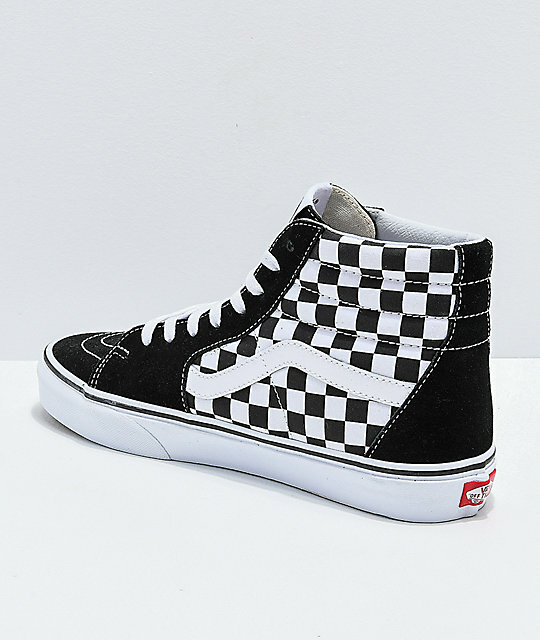 Checkerboard detailing throughout really accents the original skate style of these canvas high tops, while Vans signature logo detailing is featured prominently at the sides. 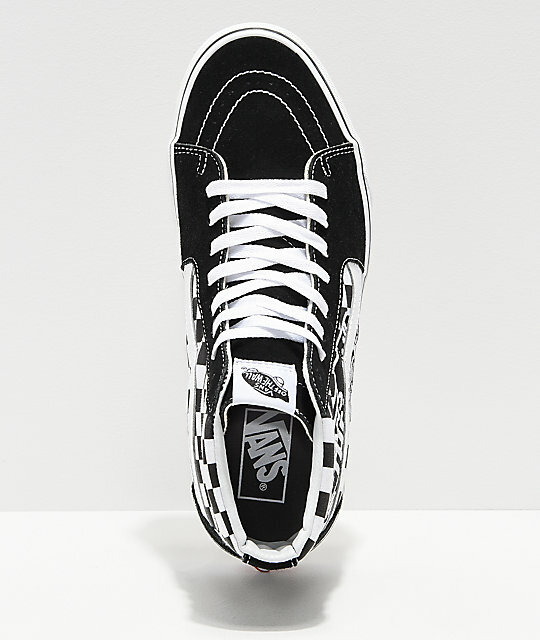 Sk8-Hi Checkerboard Patch Black & White Skate Shoes from Vans. 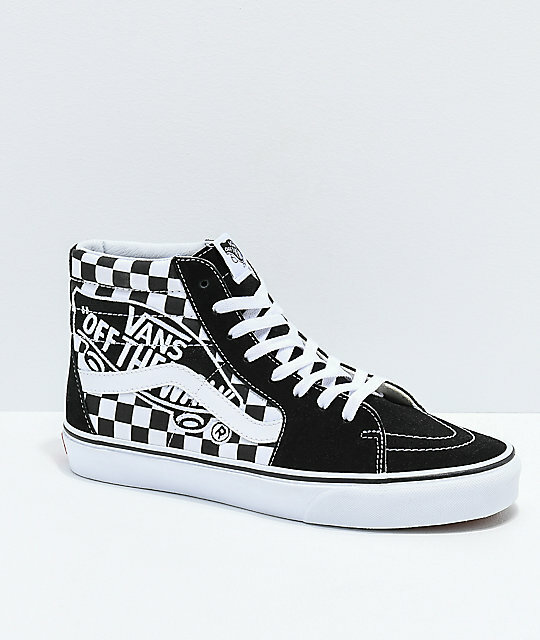 Checkerboard graphics along sidewalls and large Vans patch logo within it.